Lorde is a regular girl and I can tell by the pile of hair sitting on top of her head in her new Instagram photo. Lorde uploaded a picture of herself wearing no makeup and I don't mean "no makeup" *wink, wink* as is the case with a lot of celebrity no makeup pictures. Lorde really is barefaced in her selfie expect for her acne cream. The photo is totally relatable for any teen girl... or woman for that matter. At 17, Lorde is quite a bit younger that me, but I think I speak for everyone when I say, she's definitely rocking the go-to I'm-just-chillin' hairstyle in this picture. While Lorde has the hair and acne cream of a regular girl, the thing that's different about Lorde's picture is her location. 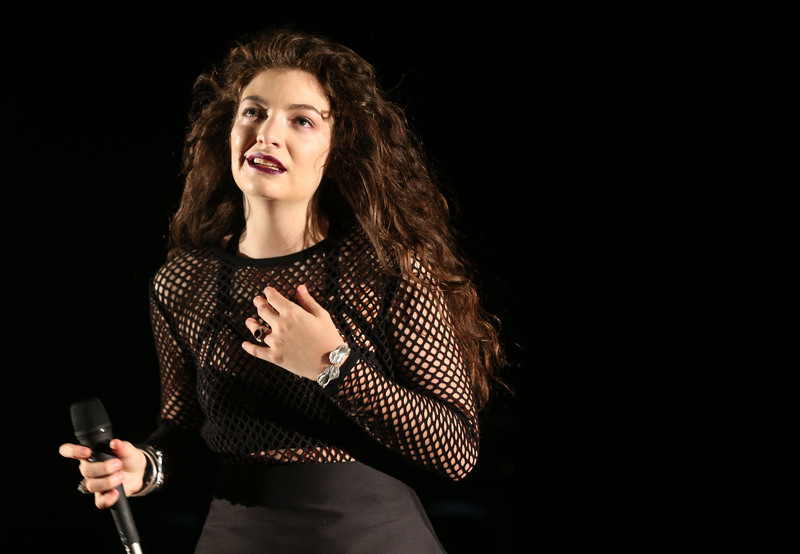 Lorde isn't at her parents' home in New Zealand or in her own tiny apartment as many of us would be. Lorde is in Paris. She captioned the picture, "in bed in paris with my acne cream on." And I am not hating on her for it at all. That caption says, "Hey guys, look! You can have pimples and messy hair and still be living it up in your cozy Paris hotel" and that's awesome. It's inspirational especially to young people and her fans seem to have gotten that message as well. The photo got a ton of positive responses. One fan, starry_skye, wrote, "That's what I call,"keeping it real". No BS just every day life, minus the waking up in Paris. Love it!!!" Instagram commenters on celebrity accounts can be super mean, so if they're being nice, then you know you're doing something right.